We invite you to explore India - the Land with infinite beauty ! Whether you soar high into Himalayas or peer under the ruins of the Ancient monuments dotting the landscape of India, you will cherish the experience long after your visit ! This India Travel Guide on Almora is free from any commercial interest! This site is dedicated to promote India - the vast subcontinent, its glorious past, magnificent landscape and its infinite variety. Often called 'Switzerland of India', Almora is a hill station at above 6000 feet on a crescent shaped mountain in the Kumaon Mountains of the Himalayas in Uttarakhand. A fine blend of mountain beauty and ancient cultural influences, Almora has a long history and has existed since the Vedic Age. Founded by Raja Kalyan of Chang Dynasty in 1560 AD, Almora was its flourishing capital. Earlier Almora came under the reign of the Katyuri king Baichaldeo, who donated this area to Gujarati Brahmin Sri Chand Tiwari. It was much later Almora was captured by the British from Gorkhas, who left their indelible mark on this town. Almora resembles a horseshoe perched between the river Koshi (kaushaki) and Suyal (Salmali), bearing evidence of Chandravansh and Katyur dynasties who ruled Almora in the 15th and 16th centuries. As a fully developed crowded hill station Almora offers breathtaking views of the snowy Himalayan summits. Almora is a town of temples and Goddess Nanda Devi is the presiding deity. The Chitai temple located about eight kms from Almora is dedicated to Golu Devta, an incarnation of Gaur Bhairav, who is said to fulfill your wishes. You will find little bells hung in this temple as pilgrims' wishes. Gananath houses an ancient Shiva temple besides boasting of charming landscape and natural caves. Kosi temple is one of the earliest Sun temples in India, nearly 800 year old. This was built by the Katyuri dynasty kings in the 12th century. This temple is in need of restoration now. About 35 kms from Almora is Someshwar, an ancient temple dedicated to Lord Shiva. This was constructed by Raja Som Chand, the founder of the Chand dynasty. Kausani is a charming hill resort surrounded by snow capped peaks endowed with exceptional beauty. This place was visited by Mahatma Gandhi in 1929, who was truly fascinated by the scenic grandeur of this place. Jageshwar is a pilgrim site located in a verdant valley about 38 kms from Almora. This is one of the twelve Jyotirlingams in the country. The Swayambhu Linga named Nagesh is enshrined here. Binsar is 30 kms from Almora and there is a Shiva temple dedicated to Bineswar situated at 2412 m above sea level. Matrola is another picnic spot with gardens. Buses and taxis come here up to a point Panuwanaula and from there onwards one has to walk. Bright End Corner is about 2 km from Almora and the highlight of this spot is the sunset and the sunrise that can be seen through the Himalayan peaks. A circuit house located in this spot allows tourist to spend some time this tranquil surroundings. Kalimutt is about 4 ½ kms from Almora and this picnic spot allows a lovely view of the Himalayan peaks. There is a deer park about 3 kms from Almora in Narayan Tiwari Dewal. There is a State Museum near the bus stand. Simtola is another tourist spot about 3 kms from Almora set amidst the hills and pine and deodar trees. The Nanda Devi Temple which is 1000 year old is one of the main attractions of Almora and every year festivals are held here wherein youth from various other mountainous regions participate in a dance festival. The ancient temple of Kasar Devi was built during the 2nd century at the top of the mountain peak. The nearest point is Pant Nagar in Nainital. During summer, regular flights are operational. Kathgodam is the nearest railway station that is connected by rail with Lucknow, Delhi and Howrah. 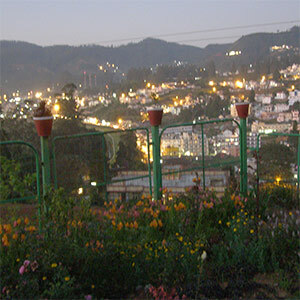 Almora is connected to most places of Uttaranchal by road. Taxi and bus transport is available to travel locally. However, walking around the town is the best way to commute to the main area. Agra - Standing astride the Yamuna. Himalaya Trekking - Imbibe the spirit of Himalayas.